These masterpieces by master Hinoura-San impress by their unique look, resulting from the matchless hand working process – from the beginning to the end. 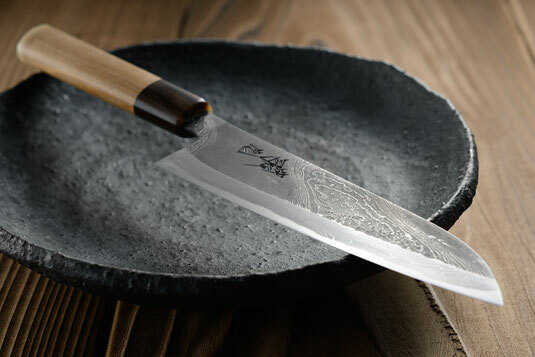 The patient forging process leads to nuanced and long-lasting knives that are beautiful to look at. Core: Superior Shirogami steel, hardened to HRC62-63. Handle: Made out of strong Japanese Enju wood. Bolster and handle end made out of buffalo horn (double horn).